Social Innovation in Action - Corporate Brochure : Hitachi in the U.S.A. The challenges around us can seem insurmountable. When we come together, thinking on a global scale, we can create novel solutions to social problems. Through collaborative creation, we are translating brilliant ideas into positive realities. At Hitachi, we strive to create environments and circumstances that foster big-picture thinking – to arrive at better answers to challenges and ensure a better quality of life. We see the challenges we all face as an opportunity to make a positive impact. Social Innovation is part of our culture. We strive to collaborate with customers, partners, and educational institutions worldwide to accelerate innovations. Our Social Innovation Business resolves issues faced by society and customers by combining advanced IT with infrastructure technologies, allowing us to provide total solutions. When you have expertise in both, you can innovate change on a global scale. The Hitachi approach to digital transformation is to deliver positive business and societal outcomes for our customers through collaborative creation of advanced technologies and solutions. Our world is changing, and Hitachi is committed to changing with it. We’re developing solutions and infrastructure to serve the needs of growing urban environments – for the benefit of all. Through collaborations with customers, Hitachi is cocreating innovative solutions that solve the challenges customers face and cultivate a positive impact on the world. Here are some examples of Hitachi’s Social Innovation Business in action. Today, just over 50% of people live in cities globally, but many analysts expect that by 2050 this will reach 75%. In addition, technological disruption is changing business models and the way we experience our cities, schools and other public areas. 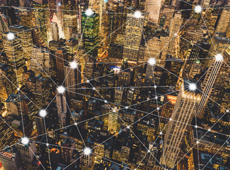 To address growth and strain, cities and the organizations that support them must be smarter and more efficient in their operations, enhance customer experience and keep people safe. 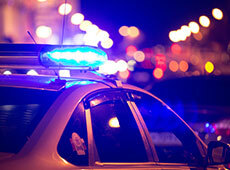 Public spaces and private enterprises today often have security cameras. Thanks to video intelligence, this data can now generate insights and proactive alerts for transportation and transit, retail and customer experience, and industrial operations, as well as security and public safety. Hitachi Smart Spaces and Video Intelligence is an end-to-end, intelligent and adaptable solution that generates new data, stores and manages it, and integrates data from many sources. It analyzes the data through computer vision, machine learning and business intelligence to provide insight into urban, commercial and industrial areas to make organizations more effective and improve our quality of life. The internet of things (IoT), with all of its sensors and generate data, has transformed the way we live and work. The ability to collect and analyze data about assets, environments, processes and people makes it possible for organizations to implement data-driven solutions like predictive and preventive maintenance, bringing new opportunities across industries to lower costs and increase operational efficiencies. But the IoT revolution is much more than that. Hitachi collaborates with companies, educational institutions and governments to co-create innovative solutions for the benefit of all. To meet the challenges facing our growing and changing society, Hitachi is an active participant in the development of technologies for cities that improve business and city operations as well as the quality of life for residents, workers and visitors. For example, Las Vegas, Nevada, joined forces with Hitachi to enhance its economy by creating a smarter, more efficient city that delivers an improved quality of life and better services to local residents and businesses. Their smart city vision focuses on improving the consumer experience and efficiency of city operations and services through the power of analytics derived from IoT, video and big data – captured, stored, and analyzed by advanced technologies like artificial intelligence (AI). By creating smart spaces, with insights about bike and vehicle traffic, parking, and flows of people in transit stations and on the street, and alerts when parks need cleaning, city leaders can better understand and respond to the challenges facing citizens, businesses and urban planners. The insights gained from this smart cities approach can also help them collaborate with the community to develop more effective, data-driven approaches to enable growth. Drawing on its rich heritage of innovation, Hitachi collaborates with partners and customers to co-create solutions that improve operational efficiencies and promote sustainable practices that support a safe, healthy, and thriving community –that benefits businesses, citizens and society. The future is up to all of us to create – and IoT is one of the most important tools we need to help us realize our true potential. We are dedicated to advancing the quality of healthcare for society, our industry, our clients and the communities they serve. We do this by designing, developing and delivering some of the world’s leading medical technologies and information solutions to improve healthcare efficiency and effectiveness. Leveraging more than 100 years of engineering excellence, we enhance today’s most complex medical technologies and pioneer tomorrow’s breakthroughs. 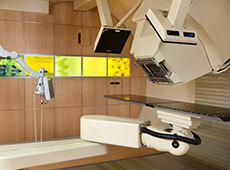 Hitachi provides caregivers with cutting-edge technologies such as state-of-the-art Particle Therapy equipment. Particle Therapy is considered the most advanced form of radiation therapy, improving care for cancer patients and having a positive impact on patient quality of life both during and after treatment. We also deliver cloud-based, data-driven digital health solutions that provide actionable insights to treat patients with chronic illnesses such as cardiovascular diseases. With Hitachi’s VidiStar cloud-based image management and analytics platform, healthcare professionals are supported with customizable structured reports and advanced analytics for improved communication that fosters values-based care. Through artificial intelligence (AI), analytics and IoT, practitioners can make more proactive and informed decisions to improve patient outcomes. Hitachi’s Social Innovation quest is bringing advanced solutions to society’s healthcare needs. 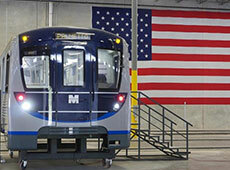 What do you do when your city’s mass transit cars are past their prime? You call Hitachi. Hitachi opened a Metrorail manufacturing facility in Miami-Dade County in 2016 that will manufacture 136 rail cars equipped with sensors to alert operators to maintenance issues, which will reduce downtime. Minimizing unplanned rolling stock outages through predictive maintenance is fundamental to ensure stability and reliability throughout transport networks. Advances in smart sensors and IT enable continuous data collection from various systems and subsystems in trains, enabling monitoring of mechanical and electrical conditions, operational efficiency and multiple other performance indicators. These new capabilities enable planning of maintenance activities with the maximum interval between repairs, while minimizing the number and the costs of unscheduled outages created by system failures. This minimizes not just the maintenance costs of the train, but also the loss of revenues that occur when the line cannot run passenger or freight services. In addition, signals, switches and analytics connect seamlessly to create a safer environment and a better overall passenger experience. With Hitachi driving Social Innovation in the railway sector through digital solutions that connect rail cars with industry-leading safety features, the rail system is safer and more efficient, which benefits everyone. Think you’re a good driver? Well, your car might just be better at it. With an average of 20,000 components in today’s automobile – most of them potential sources of data – software, data analytics, and digital technologies are becoming as crucial to car design as engines and interiors. Hitachi is creating new technologies for next-generation automobiles, including tools that assist autonomous vehicles in parking, lane changing and braking. These systems provide analytics that can help automakers measure wear and tear and alert car owners of the need for maintenance. Hitachi is also creating the components for automobile safety, comfort, convenience and security. 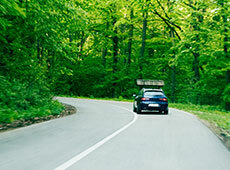 Hitachi provides industry-leading automotive vehicle and wireless components, hybrid eco-friendly vehicle components, and safety and drive-control components. Hitachi offers magnets for high performance motor applications and is America’s leading supplier of iron castings to the automotive industry. Furthermore, as a leading provider of in-vehicle information solutions, Hitachi shares its experience with vision-based advanced driver assistance system (ADAS) technologies, cloud connected gateways, and other electronic and telematic control systems. In addition, Hitachi is an Affiliate Member of the University of Michigan’s Mobility Transformation Center, which operates Mcity, a unique test facility that simulates a broad range of complex driving environments and allows users to test new technologies in a variety of challenging situations. Hitachi leverages Mcity to advance its development of connected car and autonomous driving technologies that can contribute to vehicle value, safety and comfort. So, on that next road trip, you may just want to let go of the wheel and enjoy the ride. 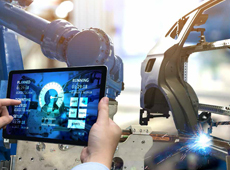 Unlike traditional manufacturing, smart manufacturing is driven by digital innovations such as artificial intelligence, machine learning and cognitive computing that are transforming the industry, creating new opportunities for economic growth. The real focus of the smart, digital manufacturing journey is to provide a new way of looking at your business, technologies, people, processes and physical environment – through a digital lens. By breaking the journey down into a series of discrete steps, Hitachi helps organizations build toward increased understanding, efficiency and effectiveness of their operations and deliver measurable value along the way. We work with you to co-create solutions that address your biggest challenges – from improving quality to mass customization, from establishing new business models to becoming a sustainability leader. When you bring a digital dimension to your organization, you gain greater control over manufacturing and the supply chain, including the ability to predict and prevent downtime, bottlenecks and defects. You can create robust, predictive intelligence for making business decisions faster and running leaner manufacturing operations. Hitachi has a long history in manufacturing, improving efficiency and productivity by integrating operational technology (OT) to control and run production systems and information technology (IT) to analyze data on workers, materials, and equipment. From leading-edge compressed air solutions to automated production-line equipment to electrical and electronic industrial equipment and components, you get durable, high-quality equipment. Not only do we help organizations deliver more customized products and services – faster, at lower cost, with higher quality – we show you how to do it in a way that makes the world a better place to live. Our solutions can reduce your environmental footprint by optimizing water and energy use, and reduce the risk of accidents, improving worker health and safety. Hitachi can evaluate your processes and provide recommendations on where to automate, help you determine the best ways to collect and analyze real-time data and then help you put these insights to work. Smart manufacturing is here. It’s changing the way the world creates new products, the way people work in factories and how organizations are digitally transforming to reach entirely new levels of operational excellence. The industrial IoT revolution is underway. We’re made for industrial IoT. You may have heard about the industrial internet of things (IIoT) – the network of physical objects embedded with electronics, software and sensors that enable the collection and sharing of connected data in industries like manufacturing, transportation, energy and healthcare. But how will IIoT transform the way in which we work and live? For nearly a decade, Hitachi has been working to answer this question with a robust portfolio of IIoT data-driven solutions. As one of the few companies specializing in both OT and IT, Hitachi is uniquely poised to drive Social Innovation solutions to deliver smarter, safer and healthier societies. We have the people, capital, patents and partners to pioneer a bright future with IIoT solutions that enable us all to thrive as never before. Hitachi’s IIoT capabilities drive digital modernization at all levels of manufacturing. 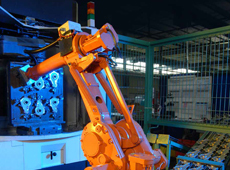 We focus on integrating OT and IT data to create predictive analytics that leverage artificial intelligence (AI) to predict and prevent variances across the manufacturing supply chain. This affords our manufacturing operations and our clients the ability to integrate OT with IT data, and utilize AI for predictive analytics with security that protects data from the edge to the cloud. With digital modernization, the pains of missed deliveries go away. For example, digitally modernized facilities can deploy dynamic scheduling, which uses AI to process data in real time – no matter how large the data sets – to optimize resources and schedules. Hitachi delivers digital modernization and predictive manufacturing systems to improve safety, quality, delivery and cost. For example, Hitachi Video Management Platform enables data-intensive video security and monitoring, advanced analytics and visualization innovations. It allows organizations to improve overall operations and safety with insights into performance, process and utilization around the clock – and around the globe. Hitachi Predictive Maintenance evaluates assets, diagnoses problems using monitoring tools like sensors and image analytics, and advanced algorithms and machine learning to deploy repeatable solutions that optimize asset life cycles. From detecting breakdowns in high-speed rail systems to preventing missed deliveries through real-time scheduling, Hitachi IIoT is driving solutions that benefit business and society. Mining is a rugged operation that typically occurs in tough and remote locations. Historically, extracting minerals and ore from the ground has been both labor-intensive and dangerous. Today, equipment and data-driven technologies are being developed to deliver secure and precise ways of removing these materials from the earth. Hitachi has been supporting the industry along the way with cutting-edge technologies. We provide the products the industry needs including industrial and heavy construction equipment such as custom metal cast products and parts and a full line of wheel loaders. In addition, Hitachi delivers data-driven solutions such as smart fleet management systems that improve performance by using real-time analytics. In the U.S., the mining industry has been a leader in capturing and processing big data. Mining companies use sensor arrays for collecting data from trucks, excavators, and other machinery and tagging everything from equipment location, driver identification, and cargo type and weight. Fleet management systems provide real-time analytics from which key insights are gleaned that improve safety and help lower the costs associated with equipment maintenance and downtime. The mining industry is essential in supporting other industries as well. Resources, including precious metals, will continue to be needed to support the development of Social Innovation solutions such as sustainable solar, wind and tidal power generation. Hitachi is bringing the power of IoT, artificial intelligence, machine learning and data analytics to these industries, which can help bring the world closer to meeting critical global energy reduction targets while improving efficiency, reducing emissions and increasing the safety of mining and construction operations. 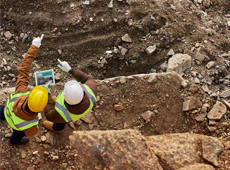 With broad research and development resources and depth of experience in the mining industry, Hitachi collaborates with customers worldwide to co-create solutions that optimize operations, improve safety and deliver a more sustainable future for all.